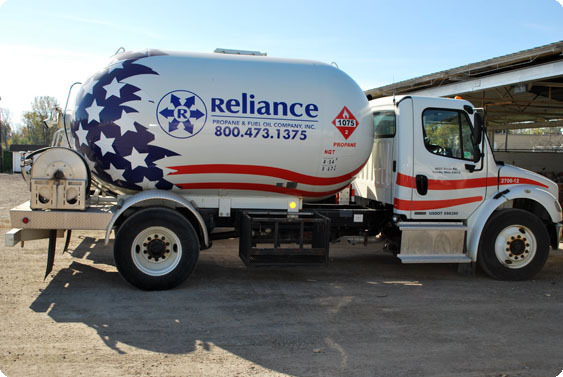 Reliance Propane has been in the fuel business since 1932. From our family to yours we offer you a full-service propane company. Reliance has been in business for over 85 years. We take great pride in being the same caring, reliable and customer friendly business we were back in the 1930’s. Although our company has experienced much growth since 1932, Reliance continues to be a family owned business. Our family of loyal employees still provides a personal level of service, products, convenience, and customer satisfaction that surpasses any of the leading national giants. Reliance achieved this goal by providing new and existing homeowners with the safe, affordable, and reliable energy products for your home including professional service for your equipment needs. We live and shop in the same communities as our customers so, we believe in servicing our neighbors the way we would want to be serviced. This means we work extra hard for you in regards to price, quality, delivery time or service. Thus, you will always find Reliance Propane to be the propane company that gives you what you want.